Free-standing design with sensuous elegance: perfectly formed, classic, seamless. Crafted by masters in superior KALDEWEI steel enamel with a 30-year guarantee. For planners and architects. You can download 2D and 3D files or the latest BIM formats of this product here. Our product texts for tender are available on the website ausschreiben.de in the file formats PDF, DOC, ÖNORM, DATANORM 5, Text, GAEB 90 and GAEB XML. Please note: Image matches reference product! Actual item may differ. Actual product colours may differ slightly from those illustrated due to the monitor settings. With the optional KALDEWEI EASY-CLEAN FINISH, the water simply beads up and rolls off the surface of the tub, taking virtually all dirt and lime particles with it. 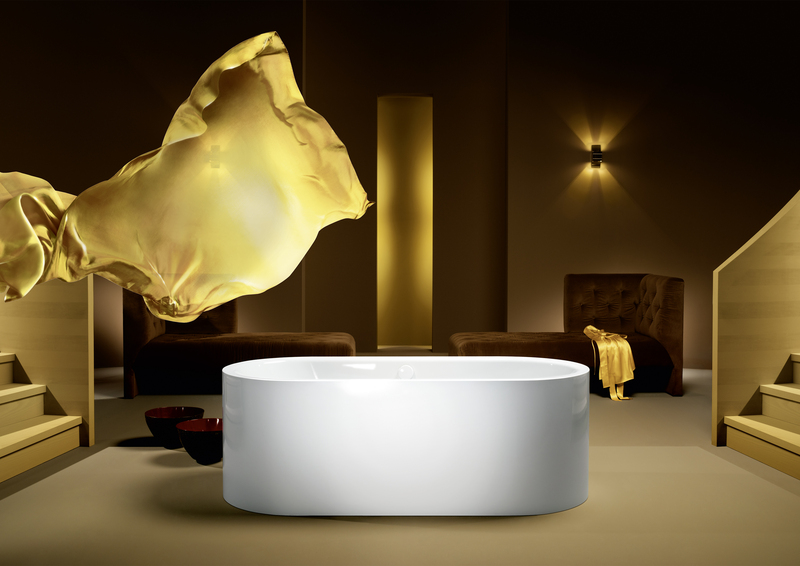 KALDEWEI bath audio system. Plays back audio files wirelessly from your smartphone, computer, tablet or any other Bluetooth® enabled device. Wonderfully soft and flexible, it adapts perfectly to any shape of neck and bathtub. Find a retailer near you featuring KALDEWEI products for your new bathroom. * The products configured to your specifications are guidelines only and do not constitute comprehensive product advice. Variations to model or material requirements may be necessary depending on your particular installation situation. Please seek professional advice before placing your order. Please note: Image matches reference product! Actual item may differ.